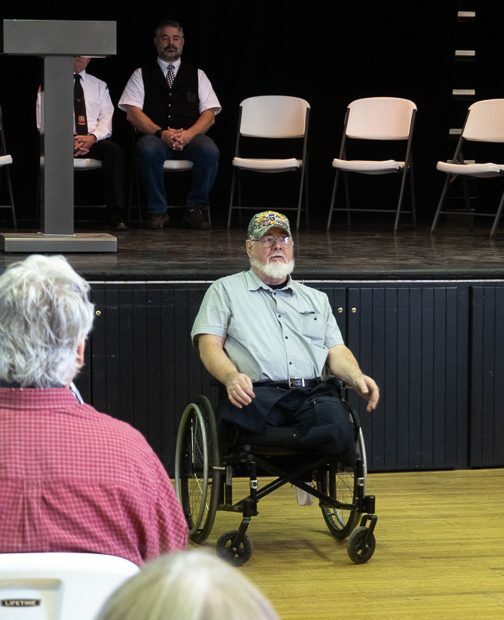 Susanville’s Veterans of Foreign Wars Post 2381 held its 4th annual Welcome Home event for Vietnam veterans on Saturday March 30th in the Veterans Memorial Hall on Main Street, marking 46 years since the last combat troops were withdrawn from Vietnam and the last prisoners of war held in North Vietnam arrived on American soil. 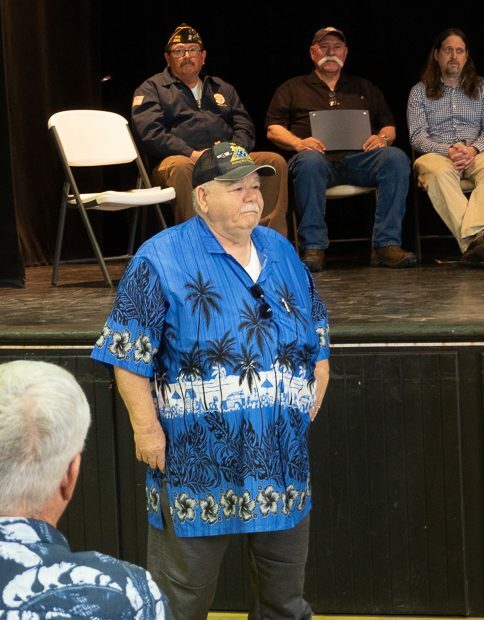 Honored guests at the event were Phillip Shipko, US Marines, 2nd Battalion 3rd Marines, 1st Battalion 9th Marines in Vietnam and Mr. Randy Cochran, US Army, Airborne Medic 1966-1968, 82nd Airborne Division during the Vietnam Era. 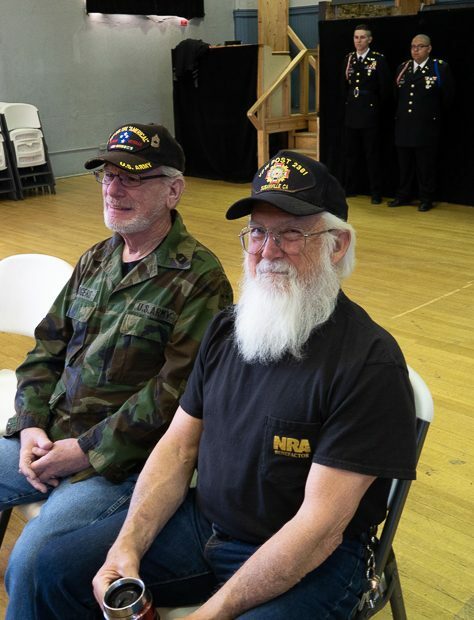 Both men spoke to the assembly about their experiences during the Vietnam era. 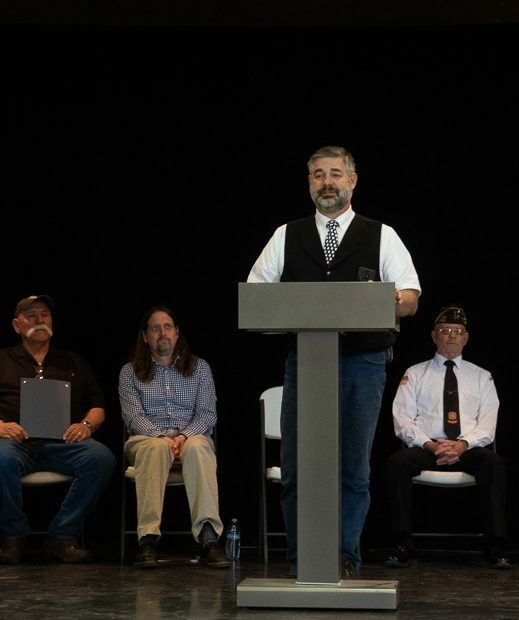 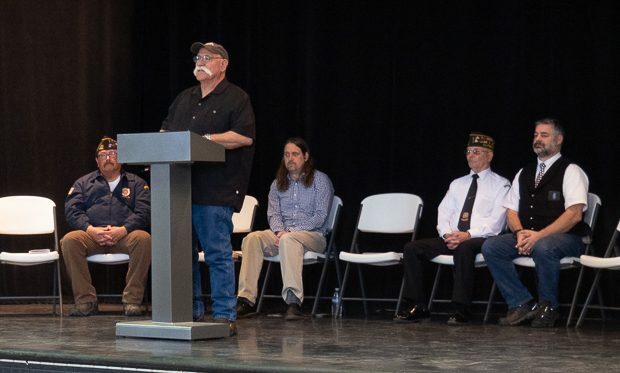 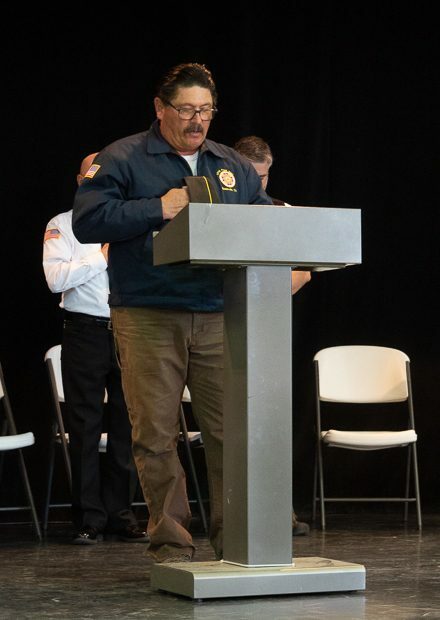 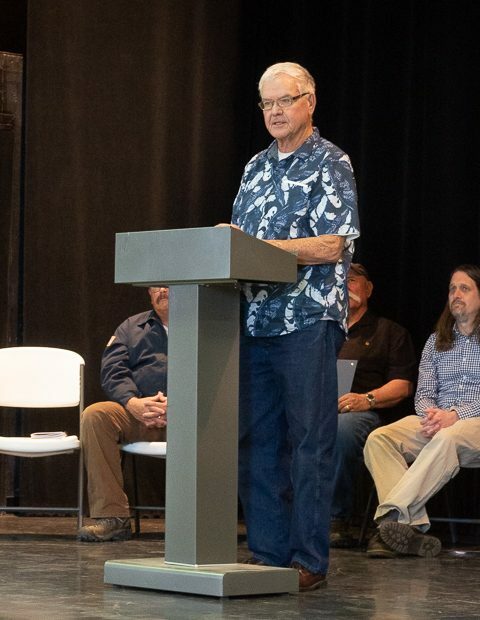 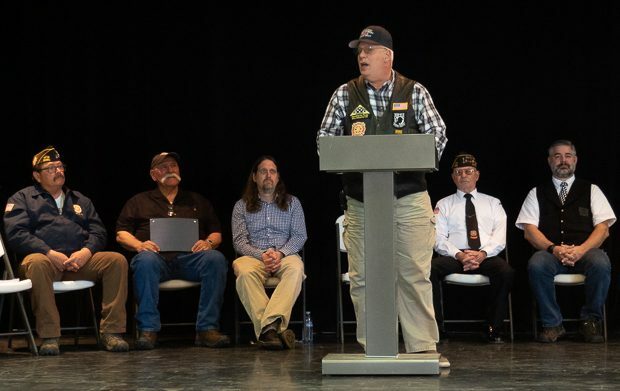 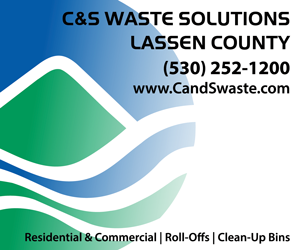 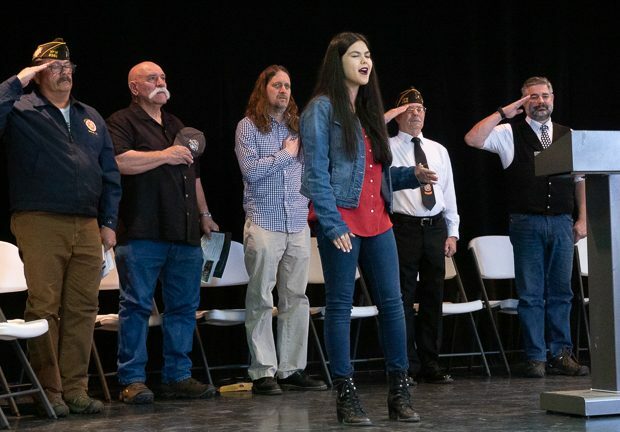 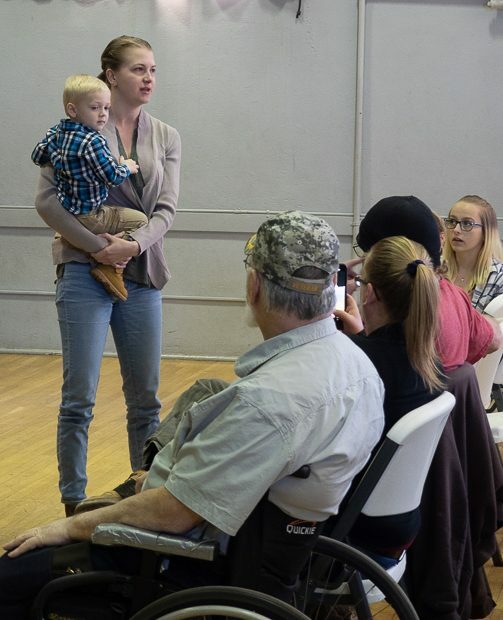 Post Commander Mel Morrison acted as Master of Ceremonies for the gathering which included the singing of the National Anthem by Lassen High student Amber Brooks and proclamations by Lassen County Supervisor David Teeter and Susanville City Mayor Joe Franco. 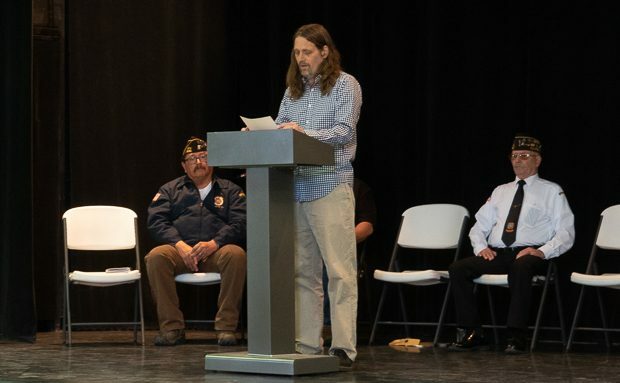 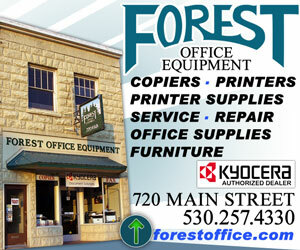 Supervisor Teeter read a poem that Lassen County’s Poet Laureate Violet Stout penned for the occasion. 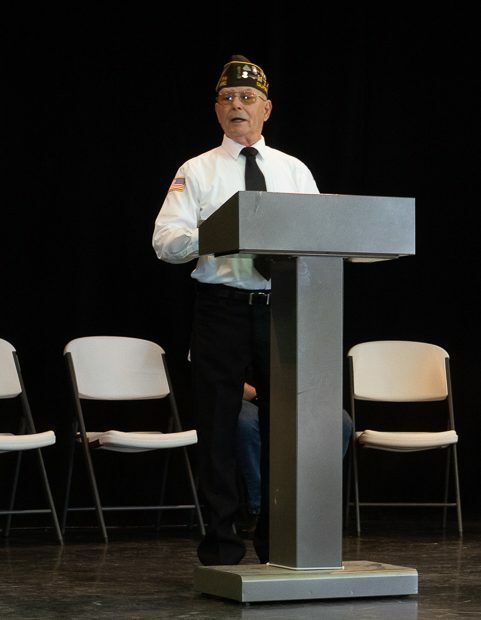 VFW Post Chaplain Anthony Lares gave the Invocation and Benediction. 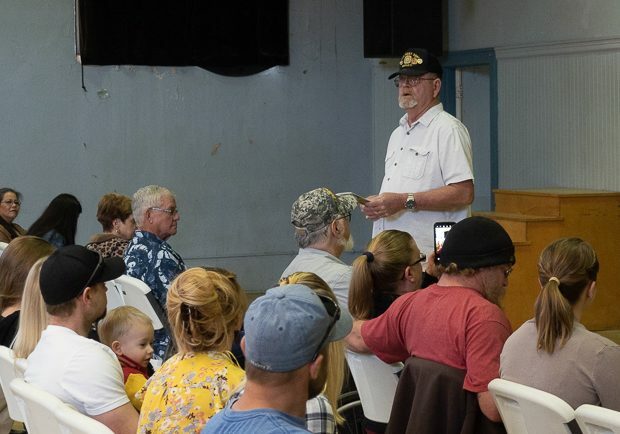 Lassen County’s Veterans Service Officer Chris Mancebo also spoke to the crowd. 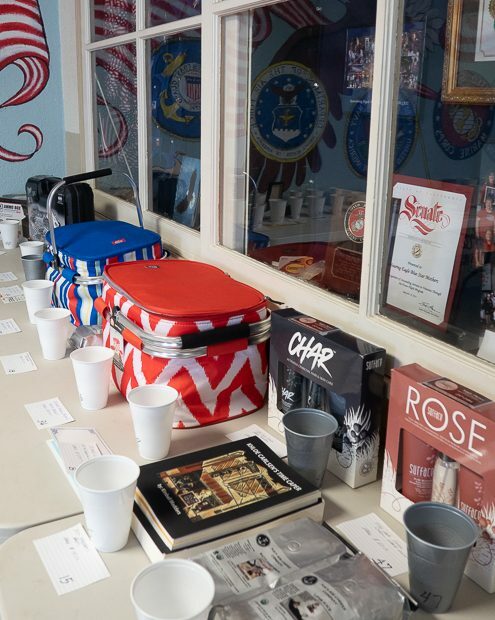 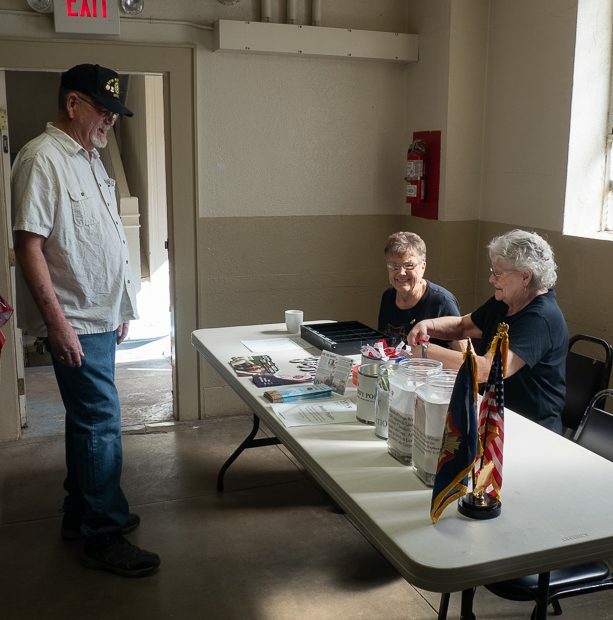 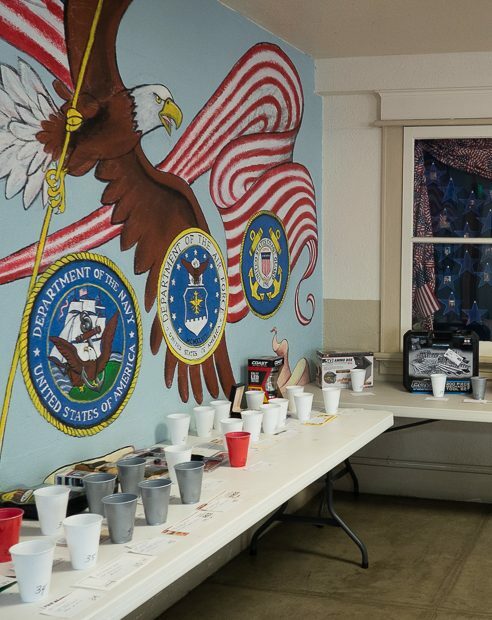 Thousands of dollars worth of raffle items were given away thanks to generous local businesses who support the VFW’s mission.